We've entered a couple of race series across the winter and through next year. A grand slam of 4x 50 mile races, interspersed with 6x 10K races. I ran the last of last winter's 10K race series organised by Mornington Chasers and I really enjoyed it, so when the entries popped up recently for the whole 2018/19 series we got a full series pass each. The first race of which was today. The mission was "1 hour very very easy" from my training plan, so that fitted nicely with a gentle 10K and we jogged around together, chatting away. The route is a pretty 3.33km x3, mostly through light tree cover around Regents Park with some very very gentle undulations and past the zoo - the residents of which started waking up quite loudly on our second lap. It's a nicely run race with no queueing for registration, free toilets and bag drop, a water station at the end of each lap and a cafe next to the start/finish which is open by the time folks are done running. We managed to keep things sensible and averaged just over 10mins/mile until I negotiated with my brain that although it wanted to have a bit of a leg stretch, today was not the day for that apart from a little 400m right at the end. So as my watch beeped the 6 mile mark, we opened up the throttle to an easy cruise at 8:20/mile and that felt really good. Bananas (which we declined), flapjack and water at the end before a quick tea from the cafe and a stroll to the tube to go home. Out, raced and home again in plenty of time for a civilised brunch and an afternoon on the sofa. First race of 2018; woohoo! Mornington Chasers run a 10K race series through the winter season and I wanted an early race for this year to kick things off, see where I'm at with my speed work and just have a bit of fun really. At £19 for non-affiliated runners (£17 for affiliated) - chip timed and free bag drop - the February one seemed like a bit of a no-brainer really. Regents Park is so close to where I work and I know the park pretty well so it was easy to get to from where I live and a familiar set of paths and scenery. Registration and facilities (free toilets, and changing and showers for a fee at the Hub Sports Centre) opened at 8am for a 9am race start, so I had to get up at 6am to get a good coffee in, let that work its magic (*poop*), feed the cats, make a travel mug of tea to drink on the tube and head out. And I nearly didn't get out of bed! It was *freezing* and I was snuggled up warm in my duvet, really not wanting to get up. But as I checked out how my coach did last night at Rocky Racoon (100 mile trail race in Texas), I saw he'd smashed it and come 3rd. That was the little bit I needed to tip the balance in favour of getting up and out. Regents Park is quite pretty. I mean, it's a park and quite a big one so it's got a bit of head start on pretty, but there are lots of landmarks (see above), trees, sculptures and the zoo. The race route was 3 laps of 3.33km each and it's virtually flat - very tiny incline and very tiny decline. My 10K PB was set in 2011, and my most recent quick 10K in 2014 at 52:38 and I was struggling with setting a sensible goal for today. I got a grip in the end and talked myself down from "PB or you may as well not have bothered". Having been building up my speed recently, I took a marker session from 2 weeks ago where I had to run < 9mins/mile for 40 mins after a warm up, and I'd held 08:40/mile for the 40 mins. So what I wanted to do today was to hold 08:40/mile for the whole race, which at that pace would be just under 54 mins. There were pacers for 40, 45, 50, 55 and 60 mins so I wanted to be between the 50 and 55 min pacers and not let the 55 min pacer overtake me. Knowing my brain, I set my watch to just record and not pipe up every mile with my mile pace. That meant that if I was off pace I wouldn't just throw in the towel and ease off to jog it in. I really am not good at making the best of a pace that's less than my target, so if I remove that information I'm more likely to just keep the effort up. And that worked really well! I ended up in a small group of ladies who were approximately the same speed and just tried to hold on to them as we leap-frogged a few times. I got a bit grumpy at one point when a "helpful" coach from the running club at around the half way mark let us know that we were on for 54-55 mins finish. NOT HELPFUL! I lost heart momentarily and then spent the next few minutes persuading myself that he was probably a bit out and not very good at maths. Over the line for me and BOOM! Thank you very much; I'll take that! 53:25 (race results official time 53:21, so even better! Though it's currently incorrectly showing me as FV35 category rather than FV45.) And the first time I've seen a VO2 Max of 50 :o) 54s off my PB, but so much has changed since then! 2017 was a difficult year for running. At the start of the year, I ran Country to Capital for a 3rd time and it was an utter death march to get to the end of it. My slowest showing on that route, despite the pretty good conditions. I needed to grit through it despite having nothing to prove, I did need to use the experience to feel the discomfort of finishing in pain when I just wanted to stop. It wasn't going to cause lingering injury, so it was fine to push through it for 24 miles of unpleasant slog to learn how to do it for when there is actually something to prove. Then I was persuaded to run The Moyleman (which I'd failed to finish the year before - I'd had enough at half way and got a lift to the finish), which was actually quite fun despite the fact I'm not much of a fan of the South Downs. After that, it was a few longish weekend back to back runs before getting on with the job of running the length of the British mainland, from bottom to top (Land's End to John O'Groats - LEJoG). Things didn't go 100% to plan with that, and I had to take a few weeks out in the middle which extended the impact of it further into the year than I'd intended. I did finish and I have a lot of writing about it that I need to find time for still as well as dealing with all of the photos, but it was now mid-August and I had nothing planned for the rest of the year. With no idea of how LEJoG would go, if I'd be injured, or need weeks or even months of recovery, I deliberately kept the calendar empty. 4 weeks after finishing, with no target or pressure to do anything in particular, I entered a half marathon on a whim while I was abroad for work. And pulled out a PB, got cocky and entered a local marathon which I promptly DNFd (did 3/4 laps - just didn't fancy finishing in the dark and the laps were getting tedious). The final race of the year was another half marathon, at which both my husband and I managed to fall over and scrape up our knees. And that was the last run of any note in 2017. And I lost my mojo. 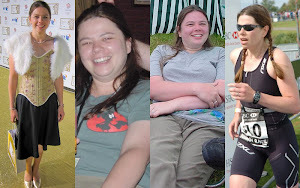 The following weeks I found it harder and harder to get out for a run. 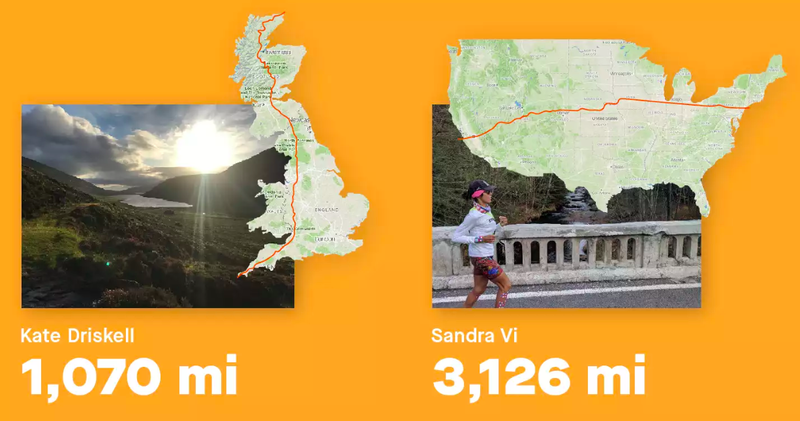 Despite having recovered physically just fine from LEJoG, I was getting tired a lot and making poor eating and drinking choices which didn't help. 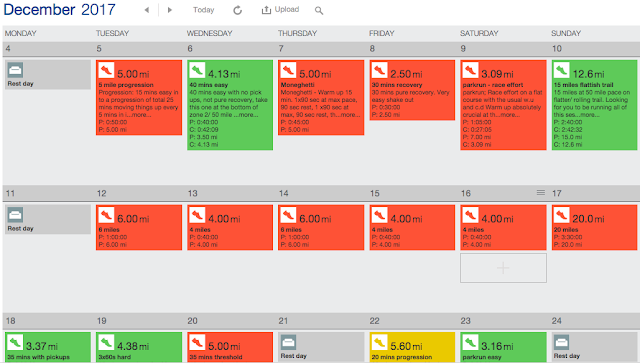 Though I'd already decided that I wanted to train for a faster marathon in the Spring, I just ran out of giving a crap about running enough to do much of it, or with any decent quality. So the first few months of the year will be training to try to get me quicker again (it's a long time since I managed 22:36 for 5000m) but without losing endurance base for the longer stuff that comes afterwards. And I'll want to chuck in some fun stuff before, in between and afterwards - there are some work trips abroad which could present some fun race tourism opportunities. 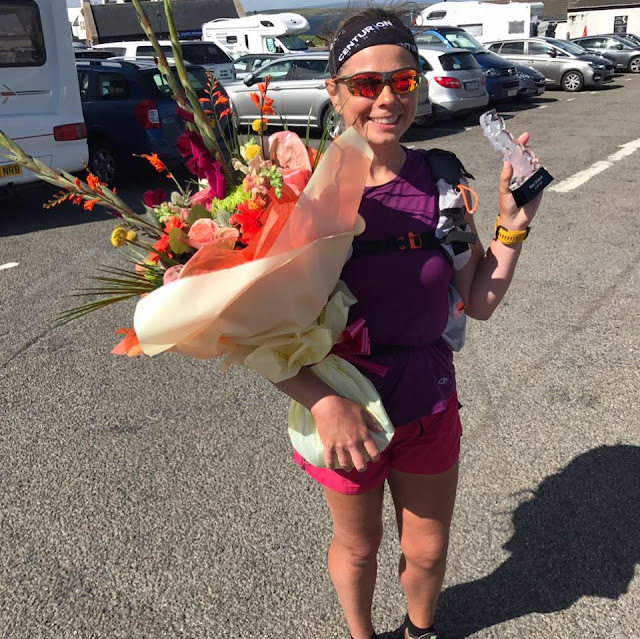 Oh, and I've been nominated for a Run Ultra Blog award, so if you like what you've read here, please cast a vote for me (and you could win a shiny, new Suunto watch)! LEJoG 2017 - The Second "Half"
The disused railway from Innerleithen to Peebles is great for most of its length. Flat, even surface, vegetation trimmed back and a couple of lovely new bridges across the Tweed. Annoyingly it runs out short of Peebles and dumps you onto the main road, or you can choose to take a grassy path beside the river (which I did). This was never supposed to be part of my overall route, but having cut short early and headed to Innerleithen to get medical attention, I needed to restart from where I left off to have a continuous route. After a late breakfast in Peebles, I was back on the Cross Border Drove Road through forests, up and over Moors and enjoying some proper scenery for most of the rest of today's run. The forest sections were gorgeous; carpeted in dropped pine needles and vibrant green moss, with lots of new mushroom growth standing out bright red in the green carpet. First day back and it's a shorter one, but my pack felt like I'd never put it down - no need to reacquaint myself with its weight and feel. I've an aching sole of my foot but that's normal for being on my feet all day carrying extra weight. Feeling ready for a long day tomorrow! An exciting start today. I wasn't confident that the paths on the early parts of today's route would actually exist, so I was super pleased to find that they did. They were a bit... exciting though. Especially with a 9-ish-kg pack on. I started out with a packed brekkie at 6am and straight onto difficult trails that were narrow, slippery, rocky and with a good bit of scrambling involved. It soon got a bit easier onto the moors proper, around a pretty tarn and up a few hundred metres for a good view. I did have to pay attention to navigation as it wasn't totally straightforward and obvious. It was boggy in places so my feet did get a bit wet but nothing awful and I dried them out when I got to Queensferry and stopped for a two hour brunch and tea break! My packed breakfast got scoffed on the hoof as I was navigating through the delightful industrial estates on the way through Newbridge and Kirkliston as I'd decided there was no point stopping around there. Crossing the M8 and M9 and threading through the dead industrial estate wasn't all that inspiring and I just wanted to get to the bridge. However, having forgotten I'm staying about 3 miles short of the original end point of today, and starting at 6am, I was going to be a lot earlier than I'd told my Air B&B host would be the earliest I'd get in. So I sat in a cafe in Queens ferry for two hours and had a smoked salmon bagel, two pots of tea and a cappuccino over the course of two hours. And I'm quite weary. There was a lot of elevation today; 29 miles and 3200ft ascent. There was far too much road before lunch, though it was all very friendly road. It all got a bit more lumpy, boggy and naturey after lunch. Moors, lochs, big and castles as well as freshly born cows. I was clearly far too smug about prancing over the bogs so far as I ended up knee deep in one up by the huge and very noisy wind turbines. Hey ho. Too tired to write much now and need to take a gentle one tomorrow. It's a bit shorter thankfully. THIS is why we do this stuff! And I can't even share a photo of how glorious the views were as I just couldn't capture it. My heart exploded and I cried. The morning was a bit too much road again and a weird castle with a dried up, stinking river by it. Then after a tea stop at Crieff, I headed up into the glens. Initially I cried in frustration when General Wade's Military Road was nowhere to be seen from the corner of the golf course it was supposed to pop out of. There was just impenetrable vegetation and fences. But when I'd problem-solved Aaron's that bit and picked it up later, oh boy was I rewarded. Up and over Gualani na Feing, I was reminded of how much Kilian Journet talks about crying in his book "Run or Die" as I had tears rolling down my cheeks at the beauty of where I was. I didn't want this bit to end. THIS is why we do these things; why we put up with lacerations, bruises, blisters, sore feet and aching muscles. It did have to end though and I had to descend onto the road to pass through Sma' Glen - which was also brutally beautiful. General Wade may be written about and stuck on information boards, but there's no love for his military road here and it again disappears into bog, farmland, behind fences with no gates etc so I was ignorant and followed it as best I could until the end point of the day. Back in a taxi to a B&B as there was nowhere to stay for another 30 miles from there. Back at it at 6am tomorrow for a long day probably bawling my eyes out at the scenery. No towns or villages from start to finish. It'll be the most remote day so far. What a day! The morning was a basic trundle along Rob Roy's Way, alongside lochs and through farmland to the only guaranteed so for food of the day at Kenmore. I got there half an hour before breakfast was supposed to start (09:45! Brekkie from 10:15!) but managed to get tea and a small cold snack to get on with. Then, of course, I couldn't finish my salmon and eggs breakfast. Then it was off out and around the perimeter of the Tay Forest Park as none of the paths went across it, only end to end. Lots of road again, which is sad and boring. But then I got to head up through an estate's land and up into the moors. And up. And up. And along a shepherd's path untill it ran out. And I had to ford a fast moving river. Twice. And there was no path at all, just rivers, Heather, bog, hidden streams and rain. It was such tough going that it took half an hour per mile for a couple of miles of it. I had to keep heading up to stay away from the river and high enough to meet the bothy and the path back down on the other side of the moor. It was hairy at times. The rivers were fast and the rocks slippery. The hidden streams under the bog and heather were traps for unsuspecting feet to swallow you up to the thigh and pitch you over. I got wet and stayed wet. My raw heels got more abraded, despite the good taping I did in the morning staying in place. But the views... I cried again. It was stunning and you just can't do it justice with a phone camera. It took a long time to get down and to my place for the night; the road was too hard and my feet too sore to do more than shuffle after 28 miles and over a km of climbing and descent. But I found a great place to stay and, despite an hour of shivering towards the end of dinner, I'm tucked up and looking forward to a short day tomorrow and a lie in! Warning: graphic descriptions of raw skin and wounds. OK. So I rarely get blisters. And in the first 680 miles of this little run, I had maceration in the first few days but no blisters at all. No hot spots and no rubbed skin on my feet. Two days ago I got a hot spot on the inside of each heel. I stopped to tape one up as that was niggling me, but by the end of the day the tape had worked loose and I'd lost a bit of skin. The other foot was heading that way. So the evening of that day I cleaned them up, applied tincture of benzine, put on blister plasters and then taped them on in the morning to hold them in place. In the soaking conditions of the day, the tape failed and the blister plasters ruptured. When I had a shower that night I had to bite down on a towel. The water touching the raw skin felt like fire. I dried them off carefully and applied more tincture of benzine - which basically felt like acid - and let them dry while I went for dinner. When I got back from dinner, they had leaked fluid down my heel and onto my flip flops. So I dried them off again and gave them a dusting with Zeasorb powder to absorb the fluid while I was in bed. In the morning this morning it was more mopping up of leaking fluid, followed by applying adhesive wound dressings to cover the raw skin, then better tape than previously to hold it in place inside my sock and shoe. After a huge breakfast - I'd decided that as today was going to be very short, I'd have a lie in and breakfast before I left - I put on my socks and shoes and squealed. Yep. Open wounds hurt when you apply pressure, also the tissue around them is tender and feels bruised. Then it was time for being off and out and down the side of the loch with loads of other walkers. I could only walk as it hurt quite a bit; not just my heels but my feet in general too, and my quads. It took two hours to even contemplate more than a slow amble. Up onto the moors, pretty quickly and away from the eagles, following a good clear track through sheep country. Very pretty again but not a lot of climbing to be done as the route stayed mostly down in the valleys. I did run out of track just over a bridge and had to trudge across boggy ground for a couple of miles again until the path picked up for no apparent reason at all again. There was a long stretch beside another loch, feeling like I wasn't making much progress as the scenery was huge and far away, then a slog alongside the A9 to the end point of the day. My heels are still a mess, but the tape held beautifully this time. I had to take it all off to let the wounds dry out again. They seem a bit better but felt like fire again when I dried them off and coated them with tincture of benzine again. Today was intended to be 21 miles with 21 tomorrow, two short days for a bit of recovery. But due to accommodation availability, today was only 17 miles and so tomorrow will be 25 miles. If I'm as slow tomorrow as today, due to the sore feet, it's going to take longer than I'd hoped. I'm officially in The Highlands now though, so that's good! Despite my feet being a bit better this morning, today was mainly eclipsed by me bawling my eyes out for the last couple of hours because they hurt. Starting out 4 miles behind where I'd like to have started from today (though the B&B I was in was amazing! ), it was less of an easy day than intended. Especially given how quickly my feet went downhill and started hurting pretty quickly. With no lunch stop available today, I had a big packed breakfast from the B&B but that didn't stop me from popping into a handy open cafe after an hour of running on the footpath alongside the A9, listening to this week's Marathon Talk. Oh OK then, I'll have a bacon butty too! Two cups of coffee later I set off again. I had plenty of time until being picked up by tonight's B&B owner so I could easily afford a half hour stop and lots of coffee. That said, I didn't know at the time that is slow to ambling pace after only a few hours on foot. Today's scenery was mainly a loch in a valley, followed by lots of construction works for a new hydro-electric generator and a couple of 150 ton sub station thingies. I did have a heart-melting moment with yet another view that's impossible to capture with a phone camera. I had a go though. I don't remember a lot of the rest of the route as I was sobbing into my iPhone. I decided to treat myself with last Friday's iTunes mix for me. It was a bit meh so I switched to something a bit heavier to get me buoyed up. It helped a bit but I was just miserable with the pain of my feet and how slow was my progress. The B&B is great though. Back to the Garva Bridge to set off again in the morning. Later than I'd've liked but relying on the drop of service fun the B&B I didn't want to push it with asking to leave at 6am. So I started at 8. The Carryairick Trail goes from Laggan to Fort Augustus and it's not exactly easy. 25 miles and the first 10 are tarmac path then it's rocky and there are a lot of rivers to ford. Fairly deep (calf to knee kind of depth) and fast moving so I needed to get my trekking poles out for stability. Seven of the bloody things. My feet didn't stand a chance. The break point for the day was Fort Augustus and what a total shithole that is. Tiny, with narrow or no pavement, it's a horror show of tourist coaches all resending on tiny cafes and pubs that just can't handle the peak traffic. The place I went into for lunch stopped serving at 2pm; I was lucky to get a table and food. Many who came after me were turned away. After what could only be described as a working class child's "tea" from the 1970s (a small, square roll with an unidentified part of a chicken, breaded and deep fried, and some oven chips and half a tomato) I headed back out for the final 11 miles. 4 hours of pain. 2 of which were spent crying so hard my throat got sore and even late in the evening my eyes were bloodshot and puffy. It was a dark 4 hours. I don't want a repeat of it, but it really depends on the terrain and whether my feet heal a bit more. Who knows what day thirty will be like but I know it's going to be hard if I have to go through hours of agony for another 8 days. It's not the pain of potentially permanent damage like with my ankle tendons, but it's raw and firey and there's no respite until the shoes come off. One highlight of a particularly tricky bit of road where I had to walk behind crash barrier along the edge of a step slope downwards; one of the barrier uprights ripped my shorts along one side. Field repair of 4 safety pins is holding the two sides together. They're not obscene and they're functional but I couldn't sleep in them as I'm pretty sure the pins would rip out. There's a lot of bog in Scotland. And my route seems to go through a lot of it. In part I think it's because I'm staying to lower elevations, however gaining height didn't get you out of bog despite what you may think. Additionally, there is a lot of investment in infrastructure; power and roads mostly. I've been past 3 new or upgraded hydroelectric dams and associated supporting stuff. And there are tracks and trails marked on the current Ordnance Survey maps that are now fully fledged A roads. So my proportion of trail to road running has shifted a bit the wrong way. That said, a bit of road can be a relief from the relentless bog at times. I'm also in hunting and fishing country. There are deer everywhere and in the mornings as I head along estate tracks scaring herds of deer; I hear them making alarm calls before racing off away from me. The calls are immensely loud and high-pitched! One of the nights of the last few, I had nowhere booked to stay (there's not a lot in the middle bit of the Highlands) and had planned to camp in a field behind the church at Croik. And what a lovely field it was too. However. The first problem was that it was getting midget, so I hastily put up my tent and managed to tear a hole in one of the outer bits of porch with my trekking pole. I think it would have been fine. But. I dived into the tent and threw my stuff in quickly. Not quickly enough. 200 midges had made it into the inner protective midge netting with me. No way could I sleep with those in there with me. I had a bit of a melt down. Pulled down the tent and dived into the church. Having slept in a church porch in the South West, I was ok to sleep inside this one. However. The guide book inside the church said it was open only during daylight hours. So I had a complete melt down. What was I going to do? It was only 18:30 and I was falling asleep already. I made some hot food and ate it and rehearsed the pleading I would do when someone turned up to lock up the church. As the sun got lower and lower, I kept falling asleep even though I was freezing, so I got my sleeping bag out as well as already having put on all of my clothes, and got inside that. As it got darker I decided I would chance getting my sleeping mat and foil mat out too. But nobody came and I slept through until time to get up again before dawn to get going this morning. My shoes were still saturated from the bog the previous day, but my feet have healed a bit so they're less painful as long as I can actually run a lot rather than hike. Staying on the fore and mid of my feet keeps the pressure off my heels enough to stop this hurting. So when terrain or incline dictates that I have to hike, that's when my feet start to hurt and it gets worse the longer I have to hike or when the surface is very uneven - i.e. bog, scree etc. Four days to go. One of which I still have nowhere to stay and with the midges, I'm not sure what I'll do. And two of which are the longest mileage days for a long time; 33 miles each and back to back. I'm exhausted. Physically and mentally. Tomorrow is a super short and easy day, then it's super hard. I need to sleep and think about how I'll get through this last bit. So there's this NC500 thing that's exploded the tourist industry in The Highlands. Demand for accommodation is far outstripping supply and it's a fight to get a room for the night anywhere. Good for Scotland! I hope it brings a great boost to the economy up here. I've managed to find something for tomorrow night now. It's miles from where I'll be and necessitates a touch and go taxi pickup on an area of no mobile coverage in the evening after a day of 33 miles at unknown pace. That'll focus the mind somewhat, especially with at least 10 miles of bog which slows me down to 25-30 mins per mile! Then I have a pickup the next morning at 05:15 to get back to where I left off, for another 33 mile day, but at least I will have slept in a real bed without midges! If I make that taxi pickup. The shortest day. And all on road as there's no other way to traverse this bit without adding tens of extra miles. It was tedious and needed a lot of concentration. On a single track road, and with a stiff head-wind, I couldn't hear anything coming from behind until they were practically on top of me. At least the oncoming ones were mostly viewable from a decent distance so I could see when they were simply neither going to slow down or give me any passing room. 1 in 5 vehicles didn't slow down at all and expected me to leap into the verge to allow them to continue unhindered. Two camper vans who had a clear view from over half a mile of straight road beforehand, passed about 9 inches from me at around 50mph. Which was not in the slightest bit funny and I have to say that I yelled myself hoarse after them, using very creatively colorful language. 12.8 miles done and my accommodation for tonight peeped into view. I stopped to take a photo with the bridge in view and as I set off again I lost concentration, tripped on a loose bit of gravel, stumbled and pitched forward onto the gravel and into the road a bit, knee and hand first. The weight of my pack unbalanced me and pulled me onto one side so I had to pick myself up pretty quickly to get out of the road. A motorbike stopped to check I was ok, which was very kind of them. I thanked them and said I was ok and literally done for the day with my rest place right behind them. I'm just very tired with all the concentration needed; whether through bog or along the roads. It's really tiring mentally as well as physically. Up at 04:30 to pack up, have a little while to prep my feet and a couple of cups of tea and head out as soon as it was light enough to see. Except, although I'd been left a flask of hot water to make tea with and dine fresh milk as well as a wrapped bacon sandwich for later, there were no tea bags. Luckily I still had a few sachets of coffee from a few B&Bs ago, so I had a couple of coffees instead. Having had a good chat with a chap who'd hiked from the Inn to Badenloch Lodge yesterday, I had an idea of what the conditions would be like; boggy up to the ridge, then really good going after that with some gravel, bark litter and hard packed sand. And that was mostly how it went. My feet are doing better so the bog was less painful to get through than previously, though I did get completely saturated feet it was less of a problem. The dawn views across the three lochs were stunning, but I didn't want to be wasting too much time taking photos as I was worried about making my scheduled pick up from the station at the other end of 33 miles. 26 miles cross country was really nice, despite the initial bogginess and cold wet feet. I nearly scared the crap out of a guy doing some maintenance work at a boat house with his three black hounds who really wanted to lick my scraped knee. "Where have you come from!?" This at 08:10 and miles from anywhere :) He was extremely surprised to hear me say "The Crask Inn"with a big grin on my face because I'd made such good progress from there. I lolloped off again, still convinced that my 6pm pick up was a little spicy and I didn't want to miss it (hah! my watch was predicting I'd get there at an increasingly early time, peaking at 14:22!). The rest of the off road bit was quite flat and uninspiring really. Long views across smaller lochs to hills that were being rained on, and a few folks out fishing (people!). Then came the road section. Again since the OS survey of the area was done, a track is now an A road. A thankfully quite quiet A road, but still tedious and needing concentration to jump out of the way of cars, vans, and the very occasional truck. I walked a lot as I knew that even if I had phone signal to cancel my pick up, the next (and last) train wasn't due until 17:15ish. 2 and 1/4 hours after I actually made it to the station pick up point. It turned out there was a little cafe (yay!) where now, because I didn't have to pay a huge sum for a taxi, I could afford tea and a scone while I waited for the train (well, at least until 4pm when the cafe shut). One full day of 33 miles to go and then it's a short day to the end. I need to hold on all my emotions until after tomorrow! Another super early start, to get back to Forsinard from Helmsdale. It was the only place I could get accommodation and it was "interesting" at that. The owners were super helpful with my issue with the missing debit card and I had a surprisingly good steak for dinner. 04:30 wake up and I actually made porridge for breakfast - there was only cereal available in the morning and there would be nowhere to do during the 33.5 mile route to get food. 05:30 pick up and a trundle back to Forsinard to set off again. The drive passed by a huge number of herds of deer at that time in the morning, it was lovely to see them up close as they usually run away when you're near and on foot. The majority of the first 20 miles on foot was bird reserves and conservation areas. Compared with the rest of Scotland, pretty flat and dull to look at though. 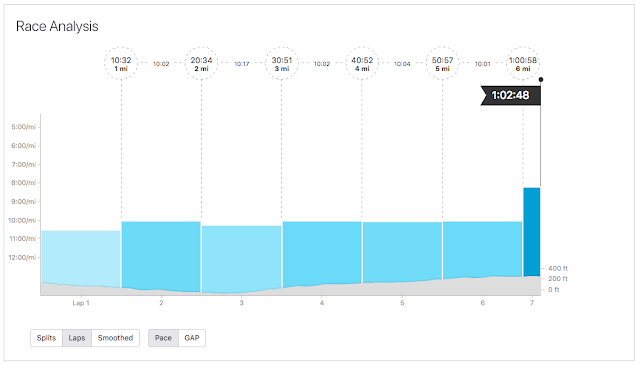 And fairly flat to run too. Highlights of the day were seeing a couple of pine martens (too quick to get a photo) and a couple of wind turbine blades being transported on trucks. Lowlights were being pretty constantly bothered by flies. Normal ones just buzzing around me in twos and threes pretty much all day. Super irritating. The final few miles on road were reminiscent of my final few miles of Thames Path a few years ago. The area being rather functional, uninspiring and the people (in this case, drivers) surly, mean and lacking in humanity. 33.5 miles done and my accommodation just about open enough for me to get into my room and inhale any food I had left in my bag. Just the glory leg left! Day thirty-seven; the final day. And it was a short one at only 18 miles. With a deadline of not reaching the John o'Groats sign before 2pm as that's when Norm would be there to meet me. This meant I got a lie in until 7.30am before a super leisurely getting ready and having breakfast to set off at 9.30am. The route was almost entirely on roads as there really aren't any footpaths that get you anywhere in this part of the country. And worse than that, a large section was one long straight road for 5.5 miles that stretched ahead interminably. Roads like that just make you feel like you're not getting anywhere so it can be quite demoralising. I made super quick progress even hiking as the surface was good and my feet are healed enough now that hiking didn't hurt much at all. This meant I had to consciously show it down and hike most of the way rather than run as I'd be way too early at John o'Groats otherwise. That way tantrums lie! Not much happened of note; the usual homicidal car drivers, for whom I have nothing but hatred and foul language, interspersing the decent human beings who appear to have common sense if not actually having read the Highway Code. Cows. Sheep. And a couple of pine martens. At one point, in the distance, a herd of sheep being driven from one field to a new one down the road. And then I saw the sea. The sea heralded 4.5 miles to go. I thought I'd feel something at that point, but I didn't. I got angry for a short while as I thought I'd beat Norm to the sign despite me having deliberately slowed down for miles. Apple's Find Friends app was showing him as very far away and even with appalling mobile coverage and limited location updates it really looked like he wouldn't make it before me. The feeling passed. Yesterday I'd put on headphones and listened to carefully chosen music to provoke emotions - Alpine Symphony for a start - and it worked to an extent; forcing short periods of loud tears. That was the feeling I was looking for but it didn't happen today. I couldn't force it either as it simply wasn't safe to wear headphones on the road. As I got to the final turning about 1/3 mile from the end, I saw the Seaview Hotel with it's LEJoG sign. So I popped in to get my stamp on my log book. I had time to waste so had a bit of a chat with the chap at reception. Then I ambled off very gently towards the final point of the route. Very slowly. Cursing a little. At first I couldn't see the sign but once I'd figured out where it was, I broke into a run again. After all, this was supposed to be a run so I'd better finish off as I started. I couldn't see Norm so I just gave in and headed for the sign. Done. I put my arm around the sign and stood still just too long such that other tourists asked me to take a picture of them under the sign. At which point Norm appeared. Now I was finished. Now I could relax a bit. But it felt functional and there was no emotion. It's weird. And I don't want to over-analyse, but I don't feel closure. I wanted to feel a flood of something but it never came. I've run over 1,000 miles, from one end of the country to the other, by myself, mostly cross-country, and with no crew. I should feel something.